L.A.'s famously awesome weather means there's every reason to bring your workout outside as you maintain your pool party figure as long as it feels like summer (which is usually through October). We suggest you strengthen your core and get in touch with your inner energy amongst the natural elements with outdoor yoga. 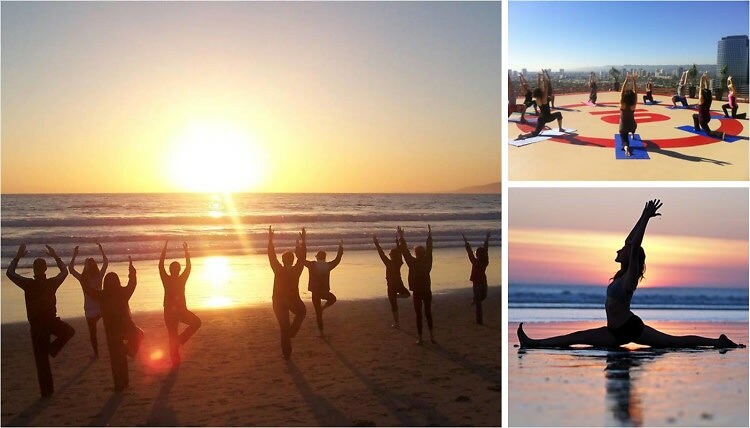 Whether you fancy a sunset class on the beach, or morning sessions with views of the city below from the top of a mountain or skyscraper's helipad, there are options available for all yogis at any level. Keep your beach body dreams alive while breathing in the fresh air with this guide to L.A.'s six best outdoor yoga programs. Namaste!